Occupied Jerusalem , ALRAY-Dozens of Israeli settlers, lead by Agriculture Minister Uri Ariel, stormed Sunday morning the courtyards of the Al-Aqsa Mosque ,accompanied by heavy guarded of Israeli occupation police. 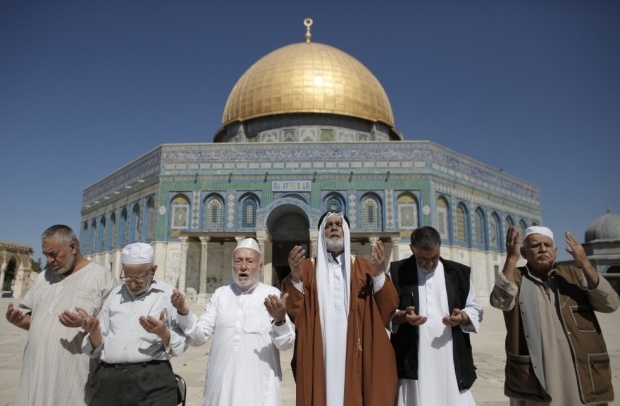 Jerusalemite sources reported that more than 150 settlers toured the courtyards, and received explanations about their claimed temple, provoking the feeling of Palestinian Muslims prayers. The sources reported that the Israeli police arrested the reconstruction officer in the Jerusalem Awqaf department Raed Abu al-Thaer while working in the courtyards of al-Aqsa.